I know many of you have plans for the 4Th. This is the perfect time to reflect on all that we hold dear. All of the freedoms we have are a result of many who have defended our freedoms over the centuries. 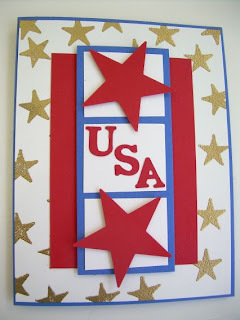 So it is the perfect time to share a red, white and blue card. Have a great weekend.